Diabetes and Why You Should Be Concerned | SW Insurance Corp.
November is American Diabetes month. An estimated 29.1 million people in the United States (9.3% of the population) have diabetes, and this figure is projected to nearly double by 2034. There are two main types of diabetes. Type 1 diabetes generally occurs in childhood or adolescence, and makes up 5-10% of diabetes diagnoses. This type of diabetes is always treated with insulin because the body is unable to make its own insulin. 90-95% of diabetics have Type 2 diabetes. Type 2 usually develops in adults (although it is possible to occur in children). With this type of diabetes, treatment can vary from physical activity and dietary changes, to insulin and other medications. What are the Costs Associated with Diabetes? Both type 1 and type 2 diabetes are primarily a self-managed disease. In order to stay healthy, a person with diabetes needs supplies like test strips, meters and insulin. In addition to medical supplies, a team of doctors are required to maintain a healthy lifestyle. These include an endocrinologist, an eye doctor, a dietician, podiatrist, dentist, and a primary care physician (PCP). The total annual cost of diabetes has been estimated to be $245 billion dollars. This included $116 billion in direct medical costs (healthcare costs) for people with diabetes and another $69 billion in other costs due to disability, premature death, or work loss. Medical expenses for people with diabetes are over two times higher than those for people who do not have diabetes. These numbers only reflect the population in the United States. Health insurance is important for people with diabetes to help them afford the supplies, medications, education and health care to manage their diabetes, as well as working towards the prevention of complications (or treating those complications should they arise). So, what are your options? The federal health insurance program for people age 65 and older and for people under age 65 with disabilities. The program you are under will determine what is covered. Most of the plans will cover medically needed care, testing supplies, and insulin not used in an insulin pump. A state-run program providing medical coverage for individuals and families with low incomes and resources. It is up to each state to set its Medicaid program eligibility. Medicaid usually covers diabetes supplies and medicines. It will be necessary to check your state’s specific coverage and eligibility requirements. Most states have disease state management programs to assist with illnesses like diabetes. Employer Provided Health Insurance. In the U.S., many people under the age of 65 have health insurance coverage through an employer-sponsored health plan either from their own job or through a family member. Prior to the Affordable Care Act, employers could impose a pre-existing condition exclusion period for up to one year, but starting in 2014, job-based plans are not allowed to exclude coverage for pre-existing conditions. The supplies and doctor visits covered by private insurance will vary from plan to plan. 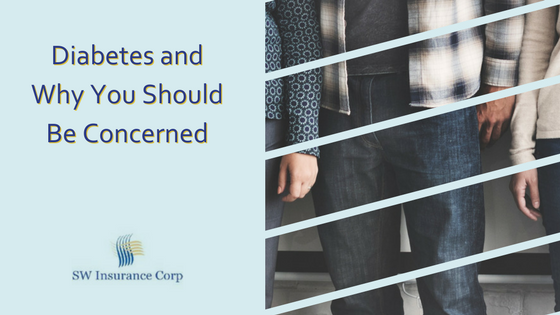 It is important to review what is or is not covered in your plan. When you have diabetes, it is important to look at and compare not only the different insurance companies available, but also the type of plan being offered. Finding a balance between low deductibles and co-pays, while also having affordable payments is the key to making your insurance affordable for your needs. Between regular visits with your diabetes care team, prescription medications, and testing supplies, diabetes self-management can be expensive. Diabetes, TYPE 2 is manageable disease, and good insurance coverage will allow you to focus on maintaining your health without the stress of large medical bills. Be sure you are scheduling your ANNUAL preventive physical with your physician. They can test for pre-diabetes, so you can be aware and make changes BEFORE you run into medical issues.